Yoga is a philosophy that originated in India thousands of years ago. It is a way of stretching and exercising while maintaining a disciplined flow of movements and breathing techniques. Hatha Yoga – great for beginners; pairs yoga poses with breathing exercises. Vinyasa Yoga – also known as a “flow class” which refers to the continuous flow from one pose to another. Bikram Yoga – yoga practiced in a room heated to 104 degrees; also known as “hot yoga”. Ashtanga Yoga – more fast paced and challenging. Iyengar Yoga – uses props such as blocks, belts, bolsters, chairs, and blankets. Kundalini Yoga – repeats movements and uses breathing techniques, chanting, meditation, and mantras. Restorative Yoga – restorative and relaxing, great for students. Also uses props. Jivamukti – similar to vinyasa style but with chanting, readings, meditation, and affirmations. 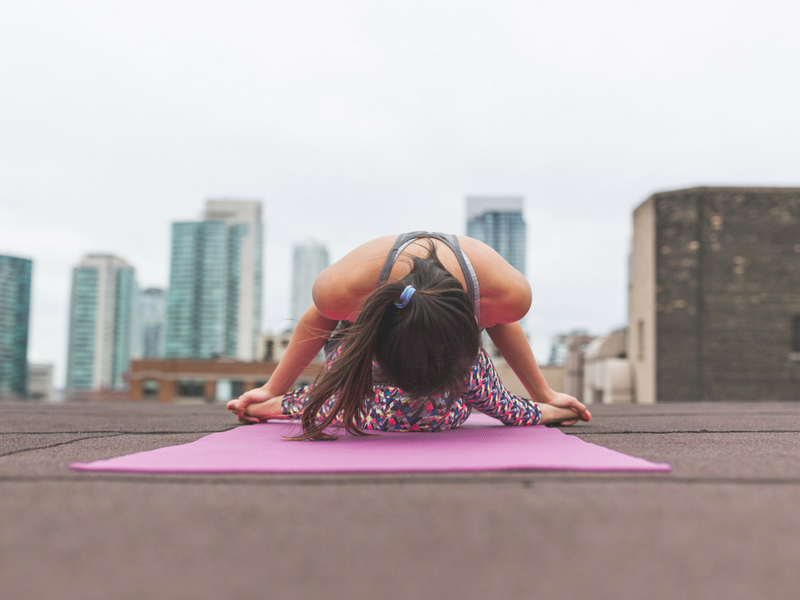 Aside from the obvious benefits of exercise (burning calories) yoga is also known for lowering stress and anxiety (which means a better sleep). Other benefits include increased flexibility, strength, stamina, and improved balance and body alignment. Yoga also detoxifies organs, improves circulatory health, reduces injury, helps with chronic pain, and improves health. Most gyms nowadays have yoga classes, but you can also find yoga studios or beach groups. Of course, you can practice on your own, but you may want to learn from a professional to start. Isn’t there special clothing and gear and what’s yoga etiquette? Because you’re bending and moving during yoga, nothing too baggy should work. There are specifically made pants (yoga pants – you’ve most likely heard of them) that are more fitted and flexible for movement. Your shirt should also be relatively fitted incase you’re bending over. Yoga mats are also a must and certain disciplines require equipment like box and belts.